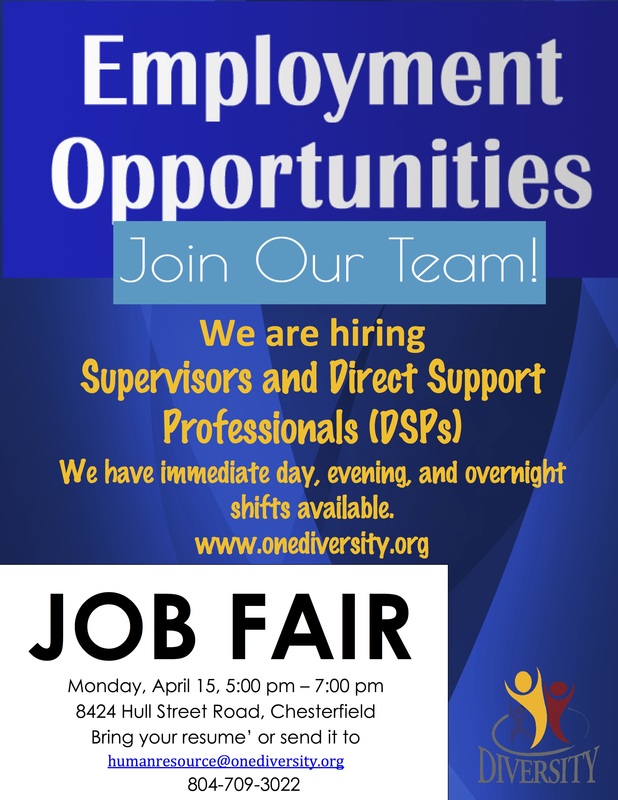 DIVERSITY is immediately hiring for Residential Supervisors and Direct Support Professionals (DSP's). We have day, evening and overnight shifts available. DIVERSITY is a dynamic human service organization that provides a variety of innovative supports to meet the needs of individuals with a developmental disability or a dual diagnosis of a developmental disability/mental illness. Developmental disabilities include autism spectrum disorder, intellectual disabilities, down syndrome, etc. At DIVERSITY we have an “anything is possible” attitude. If you can dream it, we do our best to help you to achieve it! Our motto of “Together we are Building Futures and Changing Lives!” is at the core of who we are and how we help to make these goals a reality. Free Parking and Immediate On-Site interviews. Bring your résumé and your great passion for helping others. We look forward to meeting you.